Today I’m going to introduce to you a super simple side dish (how’s that for alliteration?) that everyone flips over. This is actually my Main Taste Tester’s creation. He introduced it to me at a barbecue a couple of summers ago and it is too easy but so darn good. I recently made it to accompany my MTT’s birthday supper (with these shrimp, naturally) and even my brother-in-law, who is not a corn fan totally loved it. The whole group asked if we could serve it at Thanksgiving, and I feel like it’s totally appropriate whether on a fancy dinner table or served with barbecue. Doesn’t get much better than that. 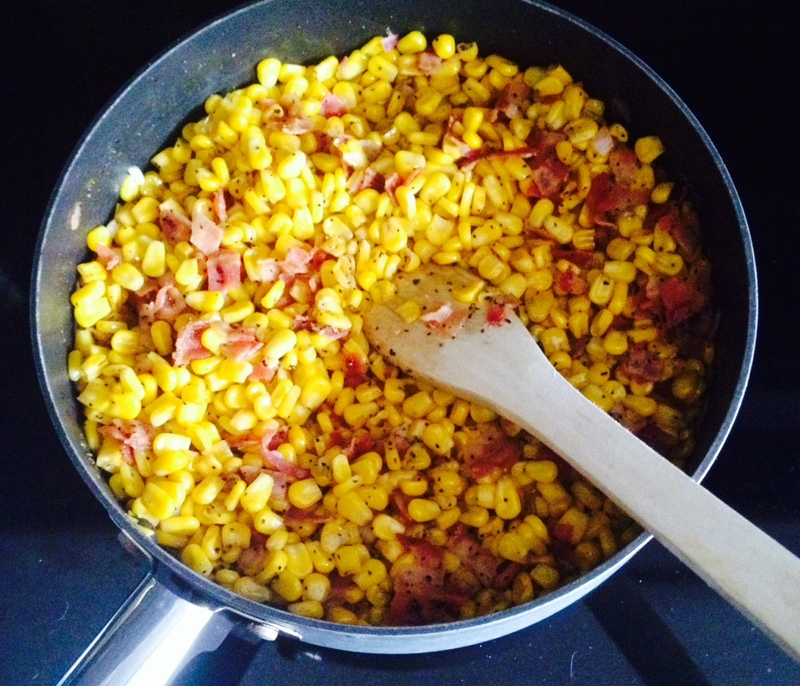 Stir corn, honey, butter and crumbled bacon together in a large skillet over medium heat. Cook until heated through, stirring occasionally. Season with onion salt and pepper to taste (you may not need much salt, depending on the saltiness of your bacon).